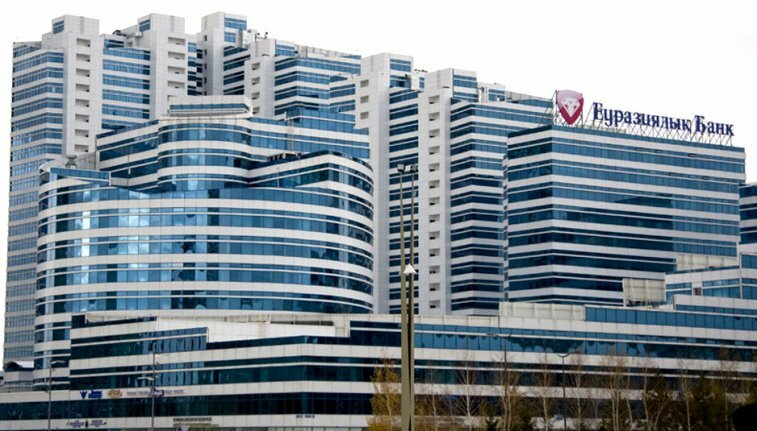 Eurasian Bank JSC- the large bank in Kazakhstan. Bolat Bidakhmetuly Zhamishev (Kazakh: Болат Бидахметұлы Жәмішев); (Russian: Болат Бидахметович Жамишев , Bolat Bidakhmetovich Zhamishev); is a Kazakh politician who is serving as the current minister of Finance for Kazakhstan. Eurasian Bank was originally founded by the shareholders to serve the needs of their industrial companies. As the bank grew, its scope grew and it began to serve a wider client base. The arrival of the new management team led by Michael Eggleton, starting at the end of 2009, brought a transformation of the bank. New processes and procedures were put in place to clean up the loan book and initiate new lending based on strict credit criteria. This has had a dramatic impact on loan book quality, with NPLs approximately one fifth of the level of the Kazakhstan banking sector as a whole. By acquiring a strong consumer finance franchise it gained a strong engine of growth, but one that was based on strong systems and experience in the local market. Today, the Bank is a market oriented mid-tier bank in Kazakhstan, serving about 6% of the adult population in Kazakhstan, bringing to the market innovative products and offers, all the while having sector leading loan book quality. It is the only bank in Kazakhstan that did not suffer a rating downgrade during the recent financial crisis that created severe difficulties for the Kazakhstan banking sector. New product offers in the market are mostly targeted in the retail banking segment, in all income categories. In a market with significant administrative challenges, the bank launched a unique product of car in a day financing. This drastic reduction of time to purchase a car with financing led to strong triple digit growth in auto financing in 2012. With their Branch of the Future program, the bank is increasing the types of self-service transactions for customers. The bank also launched a wealth management and private banking offer, relying on best-in-class international partners to ensure that the offer was up to global standards. All these changes rely on significant behind-the-scenes changes in systems procedures and operations. Michael Eggleton is the CEO of Eurasian Bank. He took up this position at the end of 2009 and, together with his experienced management team, has transformed the bank from a small troubled bank into a strong mid-tier bank with a leading consumer lending position. Prior to joining Eurasian Bank, Michael Eggleton was a board member of Eurasian Natural Resources Corporation from the date of its flotation on the London Stock Exchange, and he was also CEO of National Bank Trust in Russia. Prior to this he was a Managing Director at Merrill Lynch and Credit Suisse, working with companies in the CIS, Eastern Europe, Turkey and North Africa. He started his career as a CPA, and has an MBA from San Diego State University in California. In 2013 he received the 2013 Executive of the Year Award from the American Chamber of Commerce in Kazakhstan.